In this blog post, we want to examine what Millennials are seeking in the area of spirituality. I am avoiding the term worship because first it is a loaded word these days and Millennials are finding ways to grow in their faith outside of the Sunday Morning worship experience. There is a paradigm shift among Millennials, they have very little interest in the worship wars Baby Boomers have waged for decades. For Millennials, their focus has centered on new areas of importance in their spiritual formation. Thom Rainer, who researches church life and effectiveness for an organization called LifeWay, recently commented in a blog post, “What Worship Style Attracts the Millennials,” on the three things that matter most to Millennials with regard to worship. Rainer points out that “style” of worship is not their focus. Millennials desire music that has rich content and reflects deep biblical and theological truths. “Millennials have a dim view of the church. They are highly skeptical of religion. Yet they are still thirsty for transcendence. But when we portray God as a cosmic buddy, we lose them (they have enough friends). When we tell them that God will give them a better marriage and family, it’s white noise (they’re delaying marriage and kids or forgoing them altogether). When we tell them they’re special, we’re merely echoing what educators, coaches, and parents have told them their whole lives. But when we present a ravishing vision of a loving and holy God, it just might get their attention and capture their hearts as well” (from the blog post “Millennials Don’t Need a Hipper Pastor, They Need a Bigger God”). In our attempts to attract Millennials we often water down the music. It has at times become repetitive and shallow. For Millennials, this is not hip, it’s not trendy, and it is not working. They want music that stands on a foundation of deep biblical truth. Millennials want music that stood the test of time, that has deep theological roots. For the historic church, this is good news, we already have that. Millennials desire authenticity in a worship service. We don’t need to “gen up” emotions. The power of God’s word and his presence in worship is all we need. This large generation wants a quality worship service. Quality is a reflection of the authenticity noted above, as is adequate preparation by the worship leaders both spiritually and in the amount of time they use to prepare. In that sense, quality worship services are possible for churches of all sizes. To further explain, Millennials are particularly sensitive when the people worshipping on Sunday mornings and the pastors leading worship are just going through the motions. And they will reject such perfunctory attitudes altogether. A major challenge we face with a liturgical format is that it is very easy to get complacent and take for granted proper preparation. The love we have for serving God in the historic liturgy should be evident in the manner in which we lead God’s people into His presence through that worship experience. It is apparent that a church that preaches the Word of God with depth and substance should connect with this generation. They are seeking a bigger God, a deeper faith, they are looking for strength in the risen and reigning Christ. That is the Church’s foundation, preach that with boldness and confidence that salvation is found in Christ alone. We have that truth, we have the Means of Grace we don’t need to try to be hip and flashy. Great post! Thanks too for following me! At first read, I thought it was going the other way, but I wholeheartedly agree with you. Our church is diverse, has young and old and because I am new I am super surprised to see the young singing. Our church has no worship team, nor choir. We sing hymns only. Thank you I like to give people an unexpected surprise. Thanks for following. I so agree. the attempt to draw younger crowds by trying to be “hip and flashy ” is nothing more then a rock concert . Worship with the singing of hymns is so much more meaningful .I don’t want to be entertained ,I want to worship almighty God. Thank you for that affirmation. I am glad the research is right. Another very good read, and helpful, too. I also like the links to other relevant articles you shared at the end. It’s encouraging to see and know that Millenials are searching for deep faith and our authentic God. I dislike the “marketing” aspect so obvious today myself. It’s a turn off for most Baby Boomers, too. Excellent post Keith. We search for the latest trends, yet depth, authenticity, and quality seem to always remain relevant — and valued now more than ever. Thank you Dave. 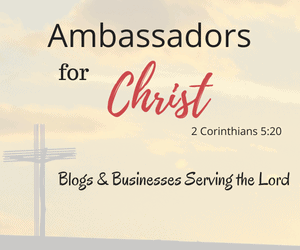 I pray the information on this blog is a source of encouragement, inspiration and practical. Oh I like this post! It seems that the larger super churches that have emerged have moved to a theology of feeling in their worship, similar to what happened years ago on Azusa Street and the birth of Pentecostalism. The hymns of the church seem to be more than they can chew theologically. They like the feel good connections they get from the contemporary praise and worship music. A new generation and a new set of wineskins! !